Are you on Facebook? Have you become a "fan" of the Buyers Market of American Craft? If not, you're missing out on fascinating daily posts relevant to the show: Will there be a casino attached to the Convention Center? Why did New York Gift change its dates? What is a General Services Contractor anyhow? Joining our page will also give you access to the artists and retailers who are already our fans...perhaps you'll find a mentor or even a new buyer for your work. If you aren't already on Facebook, it's easy to sign up. Once you're on, just search for "Buyers Market," and click "Become a fan" once you get to our page. Want to be an award-winning jeweler, AND put $10,000 in your pocket? 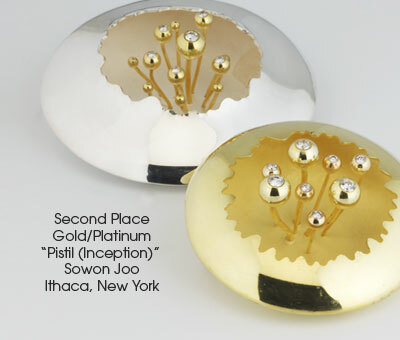 The deadline for the 2009 Saul Bell Design Award is September 19. 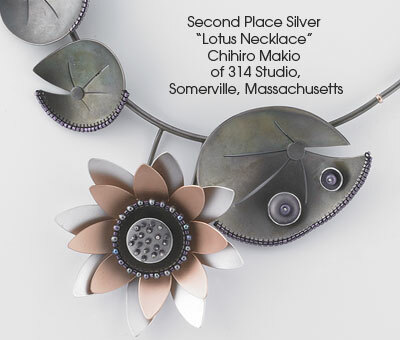 Entries are accepted in a wide range of categories, including Gold/Platinum, Precious Metal Clay, Enamel and more. Two Buyers Market exhibitors were among the 2008 honorees -- Sowon Joo and Chihiro Makio. I'm thrilled to already begin introducing you to some of the new exhibitors who will be joining the Buyers Market of American Craft next February. We'll continue to review applications until the show is full, so if you'd like to be among them, send yours in! 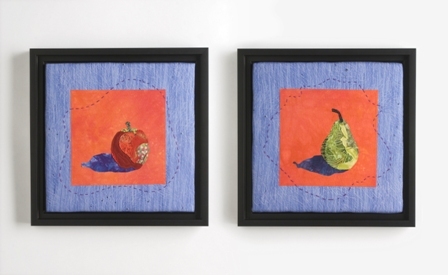 Robin Bowman turns piles of fabric, paint, polymer clay, threads, and sometimes even a grapefruit bag into intricately detailed collages of tropical and sea themes. 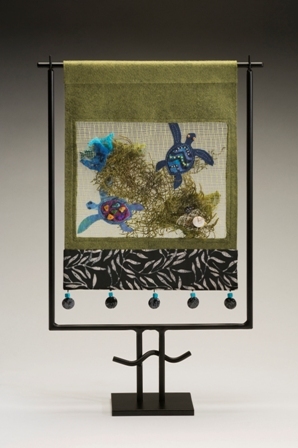 After creating the basic collage using a variety of applique methods, Bowman embellishes the work with yarns, beads and other items to create a multi-dimensional work of art. Baltimore, Md. (September 8, 2008) -- Applications are now being reviewed for the 2009 Buyers Market of American Craft. Show dates for 2009 are February 13-16 (Jewelry Preview on February 12) and August 1-3 at the Pennsylvania Convention Center in Philadelphia. 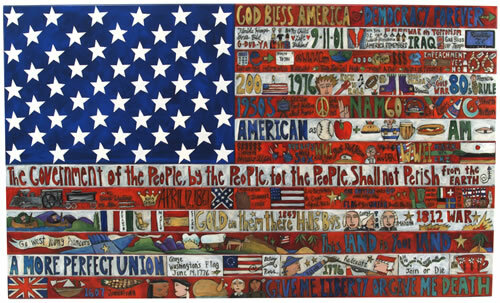 The biannual Buyers Market of American Craft is the nation's largest wholesale-only tradeshow of work made by hand in the United States and Canada, featuring more than 1300 artists. 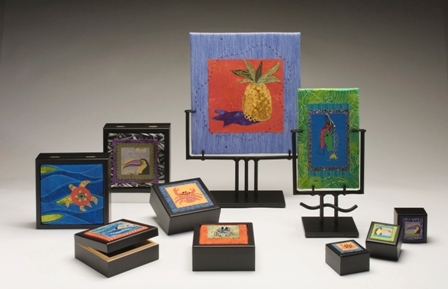 Buyers include retail gift shops, museum stores and galleries that sell fine handcrafted jewelry, glass art, furniture, ceramics, art made from recycled goods and more. Adler Display will be holding a free seminar on Tuesday, September 23rd, and you are invited to attend. "Exhibiting in a Slow Economy" is a 2-hour seminar that will assist anyone responsible for planning events, coordinating trade shows, marketing or designing trade show displays. When budgets are tight, marketing is often one of the first areas companies scrutinize. And one big line item that is often in question is trade shows. Then begins the debate - to exhibit or not to exhibit? Can we afford to exhibit this year? Can we afford not to? Although brief (because we know you're busy! ), this seminar is packed with helpful information. If you are in the Baltimore metropolitan region and would like to attend, you can register online at www.adlerdisplay.com/events/exhibiting_in_a_slow_economy , or by calling us directly at 410-281-1200.